The Big Apple: home to big dreams and insanely delicious vegan food! 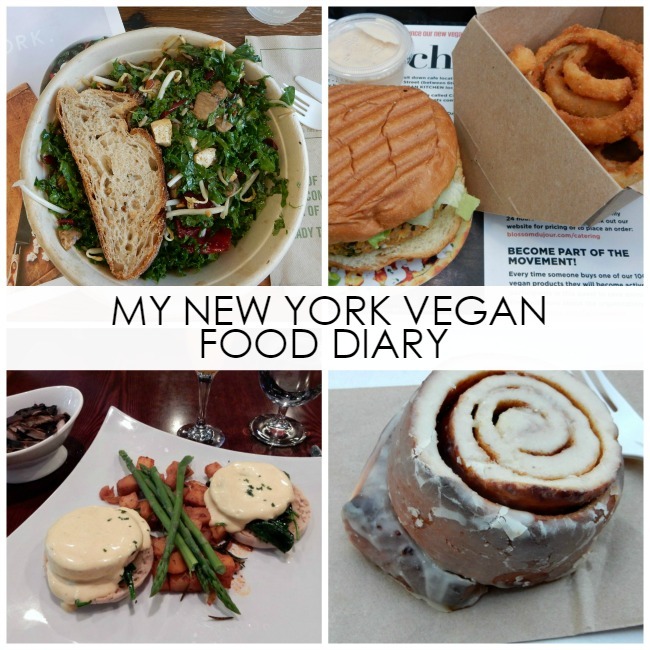 I present my New York City vegan food diary. Foodies, get ready to salivate! I’ve been home from New York City for less than a week – and already, I’m hungry. Hungry for the tasty vegan treats that somehow are so much easier to find in the urban jungle that is the Big Apple than in the Midwest hills I’m used to navigating. While my trip was of course centered around New York Fashion Week, I wouldn’t be ME without scouting out some delicious food. 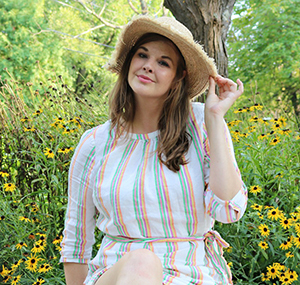 My fashion week schedule was jam-packed and didn’t allow a lot of time for leisurely sit-down meals, but the city’s big rush made great allowance for that! 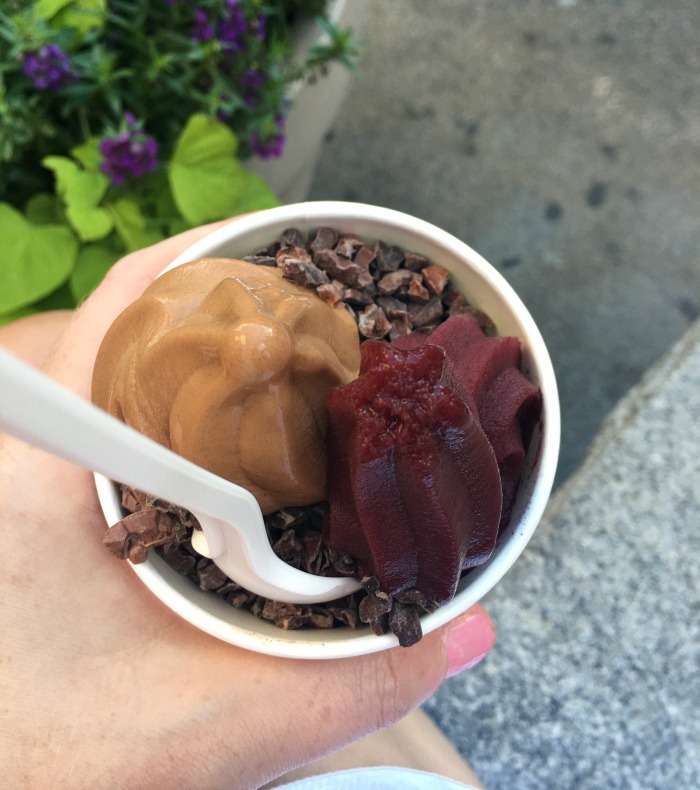 Follow my plate with me through New York City as I relive the TASTY vegan eats I devoured…and have me already counting the days till my return! Yum, yum. 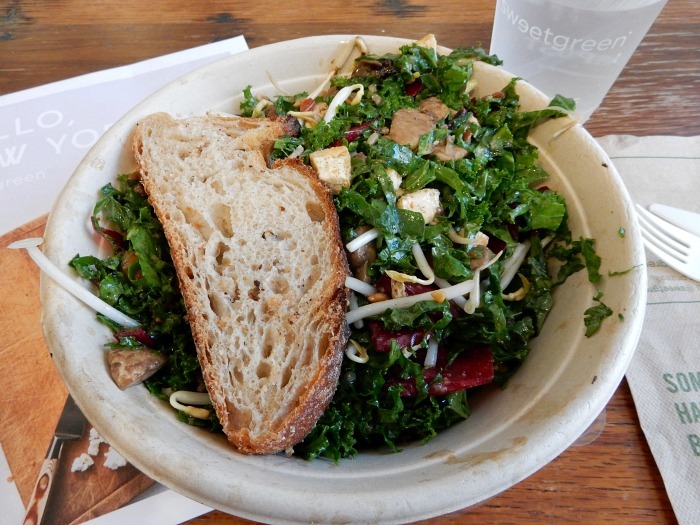 On my first day of New York Fashion Week, I stumbled upon Sweetgreen in Chelsea. It was scorching hot and its promise of tasty bowls and salads, with air conditioning and an endless supply of ice cold water was just what I needed. I ordered this Shroomami bowl, which featured warm kale, tofu, bean sprouts, brown rice and a whole lot of goods tossed in a super tasty dressing. This dish was so delicious, I honestly craved it every day thereafter! 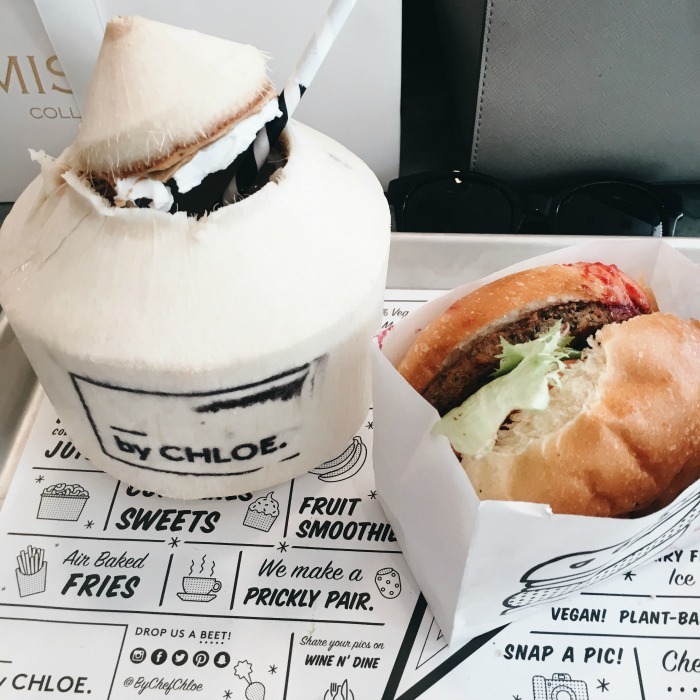 By Chloe is pretty well-known as a fabulous vegan eatery and was top on my list to try! I slipped in after the Misha Collection show on a very hot afternoon and was pleased to devour one of their signature coconut waters and classic burgers, with that famous beet ketchup. Odd fact, I’m not a fan of ketchup…but I was ALL about the beet ketchup and wish they sold it in bottles so I could’ve purchased some for back home. It was too hot at the time to branch out into their baked goods and I sadly never made it back to By Chloe while I was there, but next time…for sure, I’ll be hitting the cupcakes, hard. Delish! After Jason Wu, I found myself stumbling along the sidewalks of New York starving and in need of a glass of wine. After all, while NYFW was a lot of “work”…it was technically a vacation for me, and all vacations should come with wine. Right? The first place that caught my eye was this charming restaurant Amelia’s Diner. 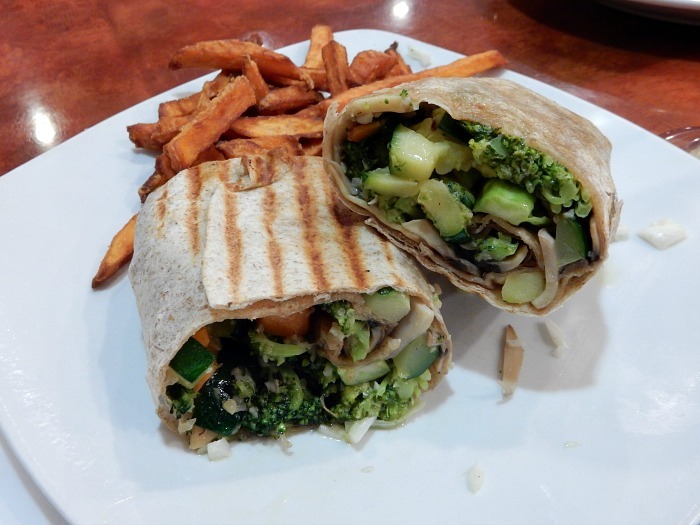 Amelia’s has a full menu that features just about anything you can dream of – from classic Italian, to salads and sandwiches…and wraps like this one. They were so accommodating to ensure this was vegan and boy was it delicious! It was great to put my sore feet up, sip on my glass of Pinot Grigio and unwind a bit while catching up on emails. The flavor was delicious and I am always a sucker for broccoli. (Maybe odd, I know.) Highly recommend this place! 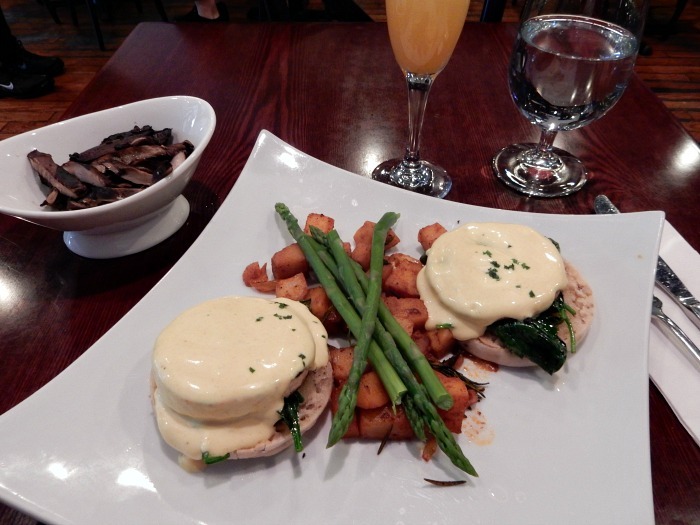 It wouldn’t be a trip to New York City without enjoying a bit of tasty brunch somewhere, now would it? On Sunday, I found my way to Blossom in Chelsea and enjoyed a tasty vegan breakfast with a Bellini on the side…and my mouth is watering at the memory. This was honestly the most savory, delicious meal you could imagine. The hollandaise sauce was so rich and creamy, there must be magic at play to make it vegan. A mushroom nut, I also got a side of flavorful portabella mushrooms. For sure, Blossom is top on my list to revisit on my next trip. They have a full lunch and dinner menu that my taste buds are begging to more closely explore! After Blossom, I was full and not really in need of dessert…but I couldn’t toss up the opportunity to meet my friend Jen for some vegan ice cream. I simply couldn’t decide on a flavor, so opted for two: chocolate (on her recommendation) and blueberry. I topped it off with cocoa nibs, which I’d actually never tried before but really enjoyed! This was such a refreshing and delicious treat on a hot Sunday afternoon. 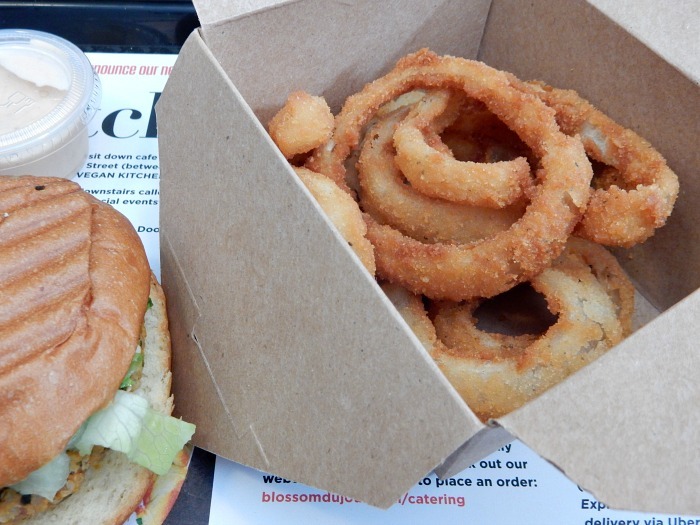 Located right across from the Chelsea cinema is Blossom du Jour, which delivers fast-food…that’s all vegan. Since going vegan in February, I have learned that “fast” doesn’t necessarily come into the equation. Also, I’ve been seriously missing onion rings! 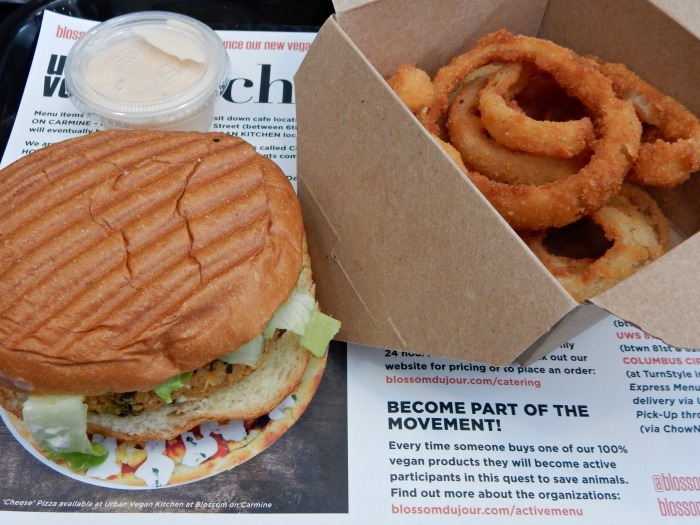 To find onion rings at a vegan fast-food joint was a true discovery! The burger was super tasty, especially with the accompanying dipping sauce. Mmm, mmm! Right now I’m looking at the menu and already plotting my return. Honestly, if you’re in the NYC area and in a rush…give this a try! Or, just give Blossom du Jour a try anyway as its 100% delicious. On my last day in the city, I simply couldn’t pass up the opportunity to DEVOUR a vegan cinnamon roll. So much so, that I actually sat perched outside for a half an hour between shows before the doors opened at 11 am. Let me tell you, this was well worth the wait. 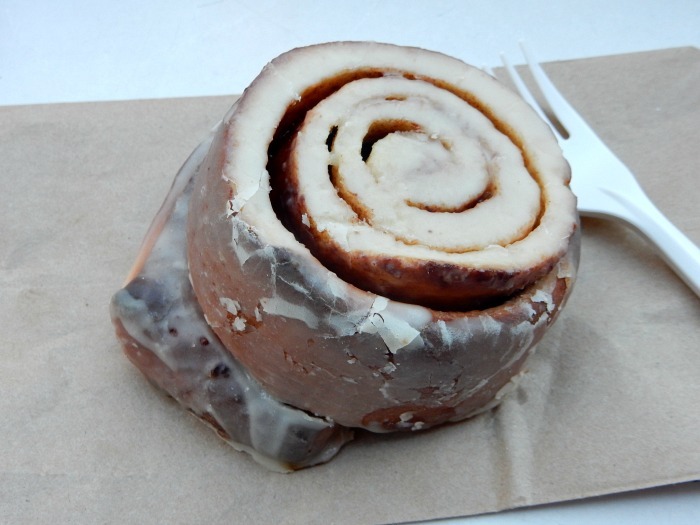 Vegan or not, this is truly one of the tastiest cinnamon rolls I’ve ever had the pleasure of savoring to the last bite. Next time, I’ll be grabbing a few extra to-go! Calling NYC Vegan Foodies, I’m already planning my next trip to the city. If you have suggestions of other great places to go, please send the my way. Mmm! As always, stay stylish and keep chasing your dreams!